Sell to Us Price: $890.30 each. 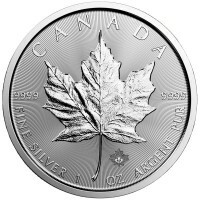 Money Metals Exchange is pleased to offer the Canadian Maple Leaf 1 oz coin in platinum, currently the only actively minted platinum coin in North America. 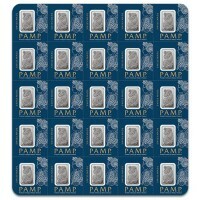 The Royal Canadian Mint (RCM) resumed production of this popular platinum coin in early 2012 after a four year hiatus. 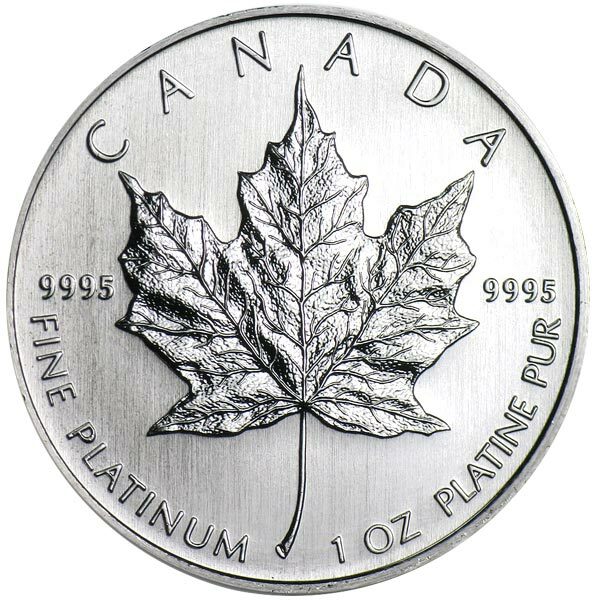 The platinum Maple Leaf was first minted in 1988 and is guaranteed for weight and purity by the Canadian government. Up until 2002 the RCM produced the platinum coins in fractional sizes, but only mints the 1-oz version today. 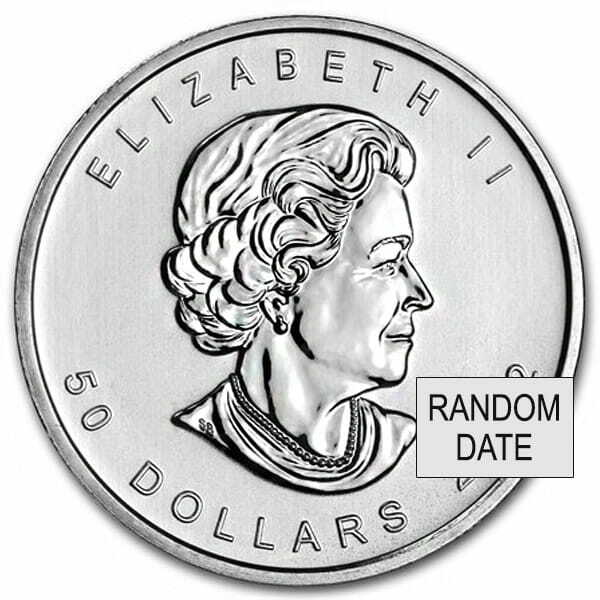 Queen Elizabeth II - The design of these Canadian Mint coins have remained virtually unchanged since its introduction in the late '80s. Like the other Canadian Maple coins (silver, gold & palladium) the bust of Queen Elizabeth II appears on the obverse side of the coin. She has gracefully aged over the years, from the age of 39 during the first year the coin was minted and into her 80s with the release of the 2012 coin. 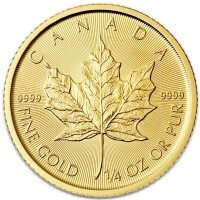 Maple Leaf (reverse) - The reverse depicts a single Canadian Maple Leaf, the national symbol of Canada. 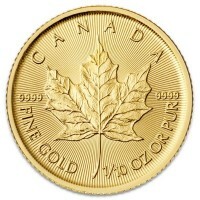 Investors looking to buy the Canadian Platinum Maple Leaf coins online or over the phone should call Money Metals Exchange directly at 1-800-800-1865 to inquire about the current availability and/or to place an order. 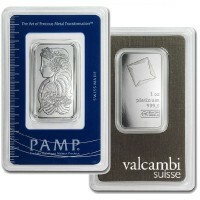 Our current buy pricing is $890.30 each and we will buy up to 40 ounces at this price. Simply call us on any weekday to lock pricing at 1-800-800-1865. 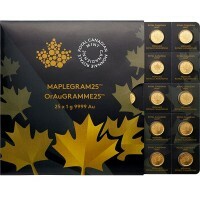 You can now sell your 1 Oz Canadian Platinum Maple Leaf Coins back to us online, at a price of $890.30 each!